사랑을 나누는 발렌타인데이를 맞아 에뛰드에서 세상에서 가장 달콤한 미니 메이크업 컬렉션을 선보입니다. 초콜렛 패키지의 형태와 그래픽 레이아웃을 참고하여 실제 초콜렛 제품과 헷갈릴 만큼 진짜 ‘초콜렛스럽게’ 디자인하였습니다. 2가지 컬러로 이루어진 듀얼 섀도우의 실제 발색 컬러를 패키지 컬러로 활용해, 초콜렛 같은 패키지만 보더라도 섀도우 컬러를 인지할 수 있도록 제작했습니다. 패키지 안쪽은 초콜렛을 좋아하는 이유 혹은 선물하고 싶은 메시지를 체크할 수 있는 체크 메모지 형태로 디자인하여 에뛰드 만의 기분 좋은 위트를 더하였습니다. 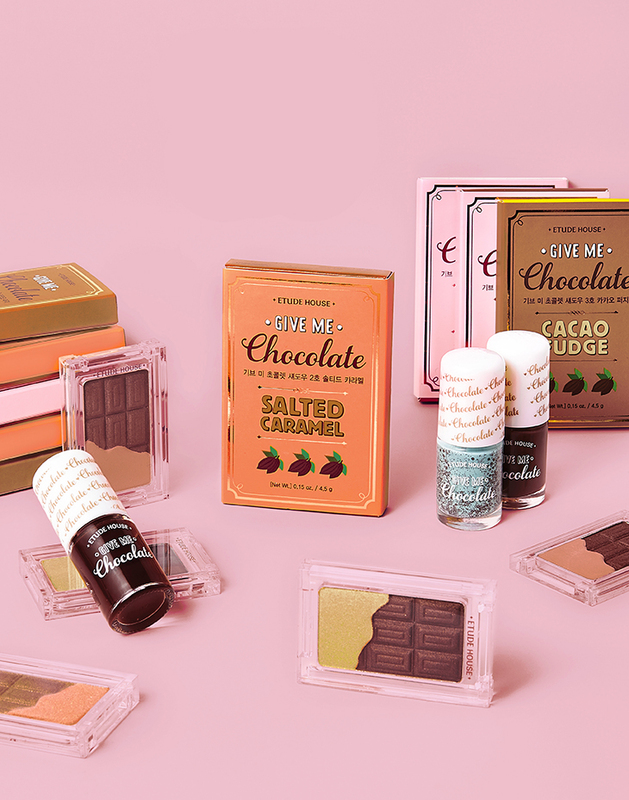 On love-sharing Valentine’s Day, ETUDE HOUSE launches a mini-makeup collection that will surely be the sweetest thing in the world. The collection is created such that it looks like real chocolate by imitating the form and graphic layout of chocolate packaging. By using the actually expressed color of dual shadow, which consists of two colors, the color of the package is designed for consumers to recognize the color of shadow by simply looking at the package, which resembles a chocolate product. The inner side of the package is designed as a form of a check memo pad so that consumers can mark their reasons for liking chocolate or check a message of planning to give a gift, adding ETUDE HOUSE’s uniquely pleasing wit to the product.